While we’re still three months away from the world premiere of Guardians of the Galaxy Vol. 2, toy companies are finally starting to unveil their upcoming movie tie-in releases! Just check out these awesome Guardians of the Galaxy Vol. 2 Marvel Minimates from Diamond Select Toys. This new Minimates series includes four 2 packs: Starlord with Yondu, Gamora with Rocket Raccoon and Groot, and two comic book store exclusives, Taserface with Mantis and Ego with Ayesha. Photos of the last set will be revealed soon. 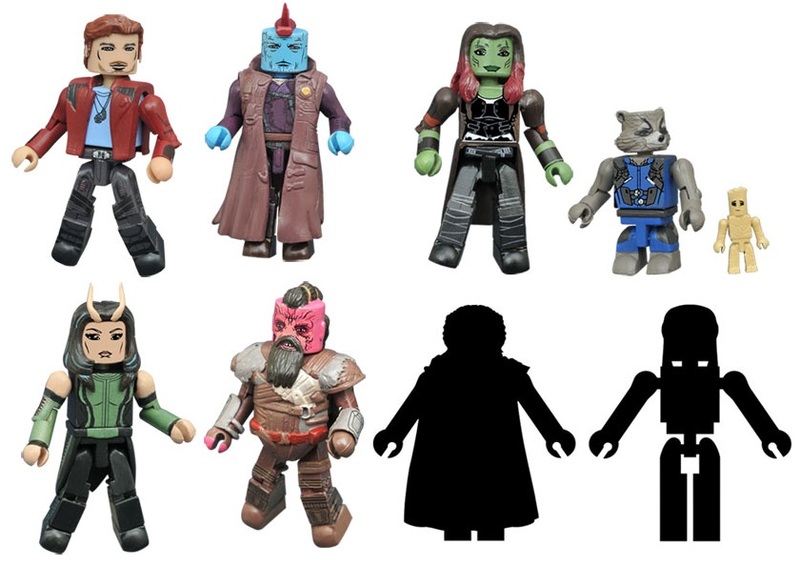 Each Guardians of the Galaxy Vol. 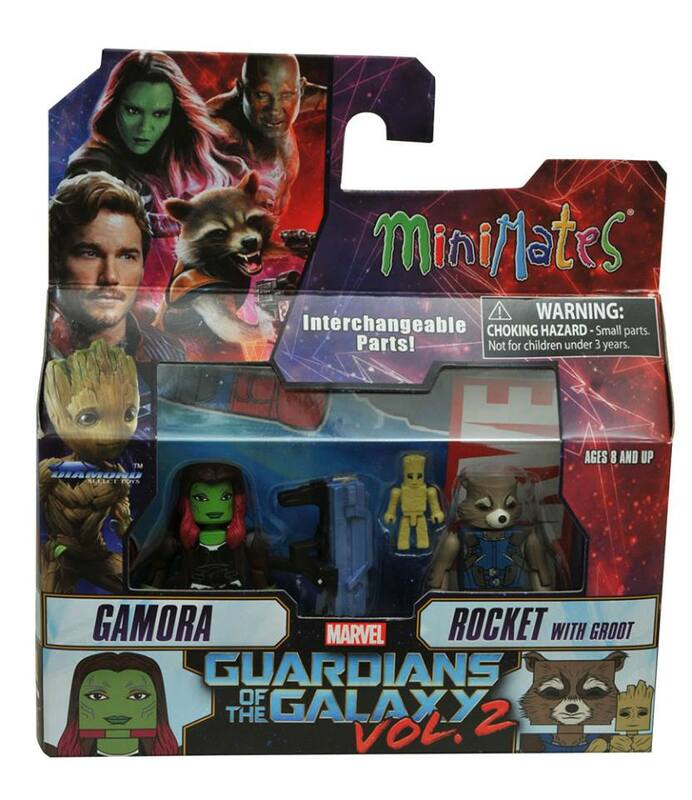 2 Marvel Minimates Set includes two 2” mini figures featuring 14 points of articulation and a variety of interchangeable parts and accessories. Fans can pre-order the entire series now at Entertainment Earth now for $29.99 here.